The class of reptiles in the animal kingdom is an array of creatures from the lizards to the extinct gigantic dinosaurs that includes the shelled turtles and tortoises, the huge and powerfully built crocodiles and alligators, and the limbless, slithering snakes. What do reptiles have in common? Reptiles are coldblooded. This gives them a distinct disadvantage compared to other creatures. Unlike mammals, reptiles are not able to sustain exertion in order to escape from a predator or pursue a prey. Being coldblooded, they are not able to generate heat and need to come out in the open to bask in the sun. So what survival strategy do they adopt? Each reptile adopts its own unique survival pattern, yet reptiles in common are often hidden, camouflaged and rely upon sudden and surprise attack. Dr. Rajan Sankaran brought into homoeopathy a unique integration between the symptoms of a remedy and the characteristics of the source of the remedy from nature. His first book in the animal series Survival - the Mollusc clearly delineates the survival strategy of the molluscs and its representation in the symptomatology and cases of mollusc remedies. This book on reptiles does the same for the reptile remedies. Coauthored with Dr. Meghna Shah, this book studies the survival strategy of reptiles in general and each reptile in particular. This book shows how this information, integrated with traditional information of these remedies and with clinical cases from several experienced homoeopaths, makes our remedy selection far more precise than ever before. I was asked to write reviews on the following three snake books because of my research into snakes and snake venoms some years ago. There was a time when I had notions of writing a book on snakes myself. These three books on snakes are each in their different ways both valuable contributions to our understanding of homeopathic snake remedies and their prescribing for our patients. Armed with these three books one could embark on a study of our homeopathic snakes; but I think that one would need to make lots of notes oneself, in fact one's own snake resource manual Incidentally, don't do such studying late at night, especially if you have vivid dreams - this was something I avoided when I was domg these reviews! 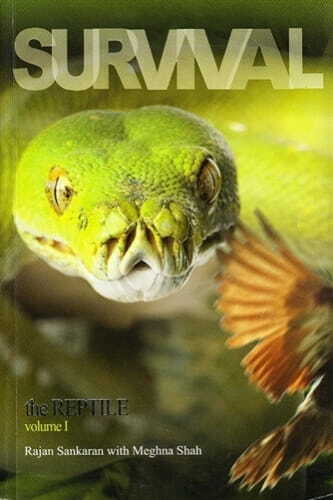 As these reviews are only about snakes the rest of the reptiles in volume 1 of Survival - the Reptile will be the subject of another review to be published later. When I first opened the two volumes of this book I was amazed at the ammount of information they contain. However, I was disappointed by the contents page; only one entry on snakes for some 600 pages! A future edition would benefit from a listing of the page numbers of the individual snakes and also of the snake families. There is a workaround, however,by using the indexes; one of common reptile names and the other of scientific names. There are also some very useful tables throughout the book and a list of these and their page numbers would also be useful (see below for the list I made for myself). Agkistrodon conortrix or Cenchris contortrix (Cench). (Southern copperhead). Agkistrodon piscivorus (Cottonmouth, water mocassin). Atropoides nummifer olmec (Jumping pit viper). Bitis arietans (Bit-a) (Puff adder, clotho arictans). Bitis gabonica rhinoceros (Gaboon viper, butterfly adder). Boa constrictor adipis (Adipis=fat) (fat of common boa). N.B. Echis carinatus is mentioned as not being included because although it is in Reference-Works it is not available in any pharmacies. This is in error as Farokh Master has a proving of it in his book. Although this book is intended for use with the Sensation Method the information about snakes, both in general and in particular, will help in prescribing some of the snake venoms even where a full proving is not yet available. Over the years I've attended a number of seminars on this method and the lecturer that resonated with me most is Jonathan Hardy. He makes it simple; he takes the case using the Sensation Method and then classifies the symptoms. So in a snake case he would probably classify the symptoms as animal symptoms, then snake symptoms and any symptoms left over should be helpful in finding the individual snake. This is where you need this book, which has a lot of information on individual snakes for which there are no provings or published cases either. In my experience I've also found it valuable to distinguish between the Elapidae and Viperidae snakes (see table on p77). The chapter on the Colubridae family of snakes, which includes grass snakes and garter snakes, is short. There are no cases for any of these snakes either. Personally I have a difficulty with using non-venomous snake remedies generally but especially ones from this family. And then, of course, there is the question of what part of a non-venomous snake you use for the proving. I know that we have provings of boa constrictor and python and that there are published cases but I can't see grass snake becoming a stalwart of our materia medica anytime soon! I see this as a potential weakness of Sensation Method publications, as many of the reliable prscribing symptoms may not be apparent until proving symptoms become available, and then it is conceivable to look back at the nature of the snake and see a possible connection which was either not apparent before or not thought of sufficient importance. However, I look forward to more beautiful and impressive books in this genre from Mumbai. Here are two huge volumes, intimidating to look at; the flexible cover and shiny pages make a cold slithery sensation. There are 40 contributors and 94 remedies from families of snakes, tortoises and turtles, crocodiles and alligators, lizards, amphisbaenians (just 2 worm lizards in case you ask) and even dinosaurs. So this is not only an original book, but in its encyclopaedic scope it is a huge original work of reference. Some of the material comes from ReferenceWorksâ„¢, some from journals, published provings, 2 centuries of homeopathic publications and inevitably the Internet. Meghna Shah spent much time in a reptile zoo doing what a sociologist might call participant observation. If I waited until I had read it all I should never complete the review.
" I continue to hold my strong background and training in classical homeopathy as the foundation of my practice, research and writings. The repertory and materia medica continue to be the cornerstone of my practice and my work." All the information is there, classification, habitat and habits of the animals are well-described and then materia medica and cases from all our history to the present day. Pharmacies from around the world have helped to compile the list of available remedies including Freemans of Glasgow and Helios of Tunbridge Wells. Of course the quality of some older information is variable but the authors have welded this disparate knowledge into a manageable whole with the combined experience of so many colleagues. I had a vision of an apparently indigestible lump of food going down the throat of a snake, the book is too sophisticated for that, and there is a schema and copious indexing. Reptile remedies which have been impossible to prescribe because they were completely unknown, or with minimal information, suddenly come alive in this book. There are no arrogant pronouncements ex-cathedra, there are suggestions: an example is on page 316, where there are 4 possible specific expressions in patients who may need a crocodile remedy: faster growth rate, connection to fishes (possibility), builds nesting holes, makes a house, and less vocal. After several pages of description and information about these creatures there is a recent case (2008) from Starios Manos RSHom(NA) of a middle-aged woman with migraines who recovered with a remedy from Nile crocodile - Crocodilus niloticus. There follows more information, charts, and pictures. In the second volume there are cobras, 4 Naja naja cases from Rajan Sankaran and Anne Schadde with fascinating insights. I once asked for Naja beer in a local Indian restaurant and was brought a bottle of Cobra. Our homeopathic wisdom has gone deeply into Indian culture and it has taken an international team based in India to put together this masterpiece and present it back to the homeopathic world.